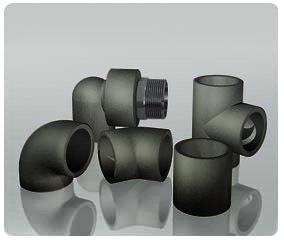 The Pro-Pipe II compression range can be used to extend existing pipe work of steel or copper and to connect to ancillary equipment such as filters/regulators and quick connectors.These items can simply be screwed into the relevent fitting which is threaded BSP. An airtight seal is provided by an 'O'-Ring within the fitting which is maintained even in deflected angles of up to 30 deg. Pullout is prevented by a grip-ring which bites into the pipe. No expensive skilled labour is needed for installation, reconfiguring or recycling of the Pro-Pipe II compression range - just simple ring wrenches, used by normal factory labour after minutes of training. They can be quickly and easily demounted for changes to reticulation systems as plant needs change. 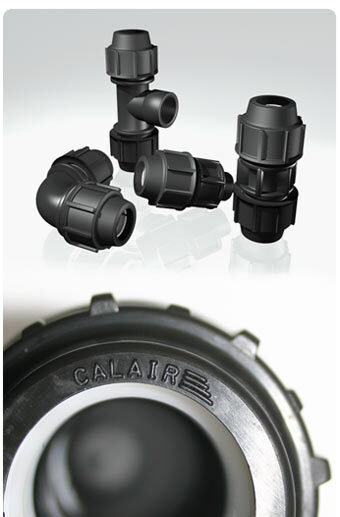 Our socket fusion products which complements our internationally successful compression fitting systems - is designed to provide another dimension to the CalAir product range. This will enable users to select the ideal CalAir jointing system most suited and most cost-effective for their ongoing needs.